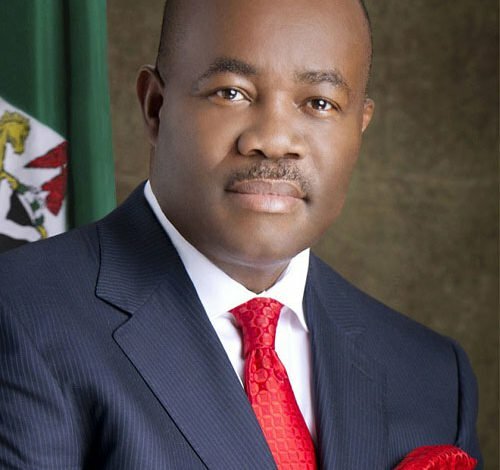 A former Governor of Akwa Ibom State, Sen. Godswill Akpabio has resigned as the Minority Leader of the 8th Senate. Akpabio, who represents Akwa Ibom North West, is set to defect from the Peoples Democratic Party(PDP) to the All Progressives Congress(APC) on Wednesday. According to a statement by his media aide, Mr. Jackson Udom, the resignation letter was dated August 4, 2028. Udom said the letter was addressed to the Deputy Minority Leader, Senator Emmanuel Bwacha. 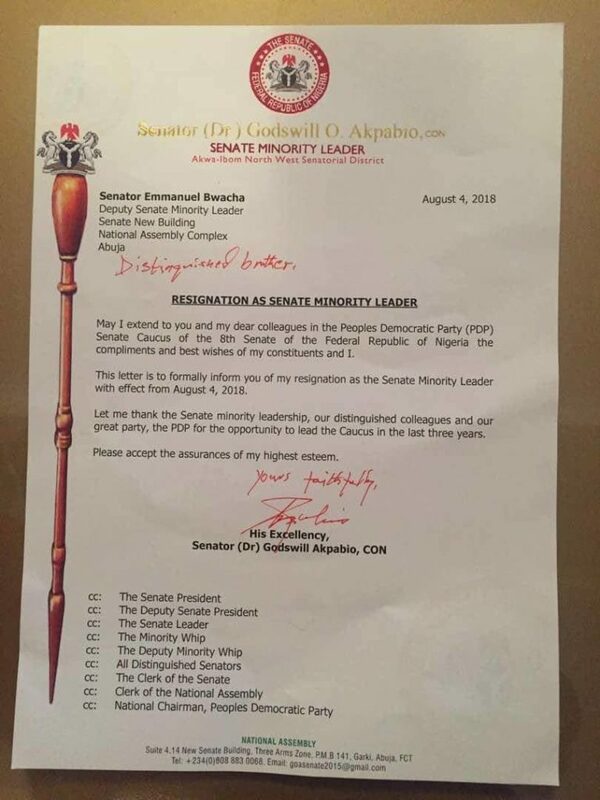 The statement said: “Senator Akpabio thanked the Senate leadership, the minority leadership, all distinguished Senators, his party the Peoples Democratic Party (PDP) for the opportunity to lead the PDP Caucus in the last three years.